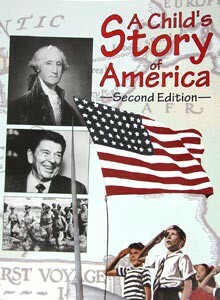 A Child's Story of America by Christian Liberty Press gives students a comprehensive overview of U.S. history from Columbus to the present. Review questions are included throughout, as well as helpful maps. Contains numerous illustrations and large print, recommended 4th grade, 200 pages.